OxyGeneo™ is a new facial treatment that goes beyond microdermabrasion by adding deep facial rejuvenation through the use of revitalizing nutrients to promote skin oxygenation. The strength of OxyGeneo™ is in its superior anti-aging abilities: the ability to help plump and hydrate your skin while increasing collagen and restoring your skin’s youthful glow; all in one treatment. OxyGeneo™ facials have been tested to be suitable for all skin types–sensitive skin, pigmentation and even scarred skin (that normally would not be suitable for abrasive treatments)–can all be treated by OxyGeneo™. The first step of the OxyGeneo™ treatment is similar to microdermabrasion. Your upper skin layer is exfoliated to remove dead cells, renew the skin, and prepare it for receiving nutrients. Next, OxyGeneo™ infuses your skin with nutrient-rich active ingredients. 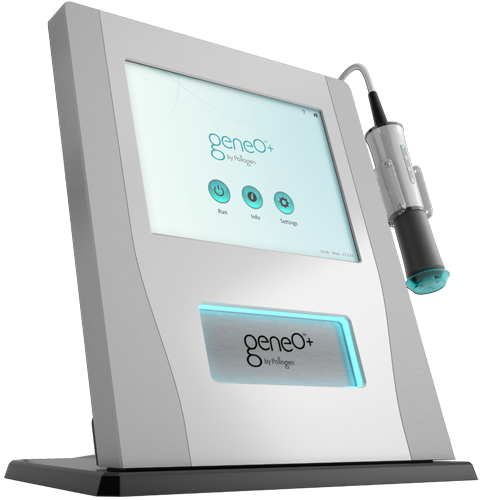 To finish, Oxgeneo™ produces CO2 bubbles onto your skin’s surface, promoting a physiological response that sends oxygen-rich blood to the area and enables oxygenation to help absorb the active ingredients that rejuvenate your skin. OxyGeneo™ is known as the 3-in-1 super facial: it exfoliates, infuses, and oxygenates, helping to bring back younger looking skin. Q: Is there downtime after an OxyGeneo™ treatment? A: There is no downtime. You can immediately return to your daily routine. However, Midtown Med Spa advises clients to use sunscreen following an OxyGeneo™ facial to help protect the skin from pigmentation. Q: How long does an OxyGeneo™ treatment take? A: OxyGeneo™ facials normally require a 30 minute appointment to complete. Q: How does the OxyGeneo™ facial feel? A: Like any facial massage, OxyGeneo™ is known to be refreshing and comfortable. However, if you have more sensitive skin, you may feel a slight abrasive sensation during the treatment. Q: What are the results I should expect from an OxyGeneo™ facial? A: Following your first OxyGeneo™ facial, your skin should immediately feel smoother, with a noticeably more uniform tone. An improvement in skin texture and the appearance of fine lines may also be observed.